Ho‘olei has three floor plans: the Plumeria, Maile and Hibiscus. 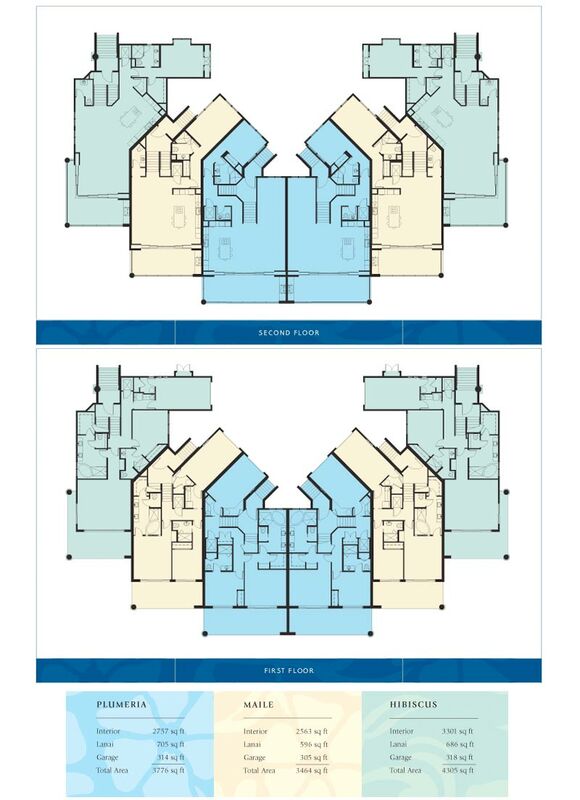 Select from the menu above to view each floor plan with conceptual images of the interiors or to view a list of plan features. The building plans below show the two floors of a typical building. The architect has arranged the building to preserve privacy, giving each two-story town home a separate landscaped entry and private elevator.